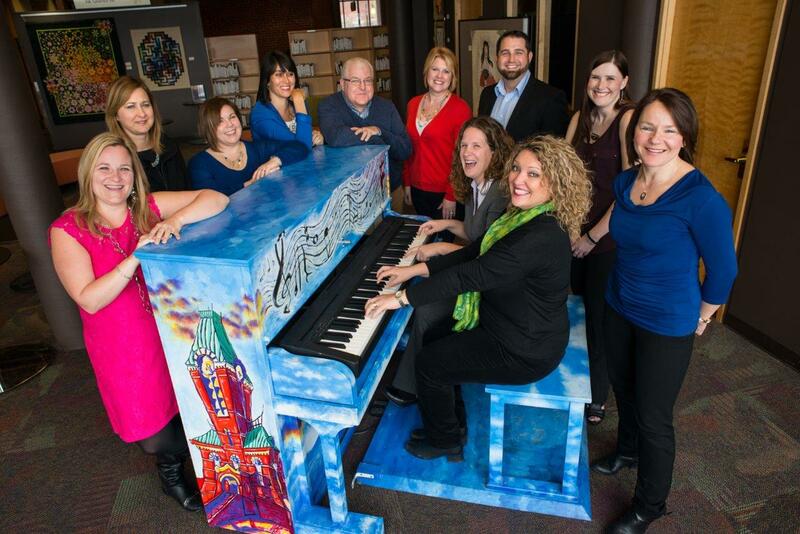 Described by many as a ‘family’ you can always find the Fredericton Tourism staff hard at work – but they also use that passion for the city to have lots of fun! Join the team as they jump into the social media conversation and share how they love to experience Fredericton! So you’ve finished a summer full of exciting, adventurous dates and are now dreading the wind-chilled months to come. Don’t let the cold get the best of you, and more importantly, don’t let your flame dwindle away! We’ve got you covered in case you need inspiration to help keep your love warm this winter. You won’t have to hide inside for the next few months – you can have loads of fun and stay comfortable in Fredericton this season. It’s no surprise it was named one of Canada’s coziest places! Check out these fun winter date ideas! Cheers to a classic wintertime activity in Fredericton! Grab your skates, lace up, and hit the ice at the Officers’ Square public outdoor rink – it’s a date! Enjoy the frosty air and the beautiful historic backdrop. Once it gets too chilly, warm up with a hot drink at a coffee shop downtown! Visiting markets is a great way to support local vendors, all while scoping out the scene for some awesome gift ideas! Get your shop on and prepare to find tons of delicious eats and unique treasures! Find something that catches your special someone’s eye? You might just have to come back on your own soon! We all know you can never go wrong with food! Especially during the colder months, comfort food almost always sounds like a good idea. Why not go out for a breakfast date? Whether you’re a pancake-person or an absolute fruit-lover, there’s something for every foodie in town. Fredericton is not shy on breakfast joints, so it won’t be hard to find a spot you both like and turn your next lazy morning into a delectable morning meal! 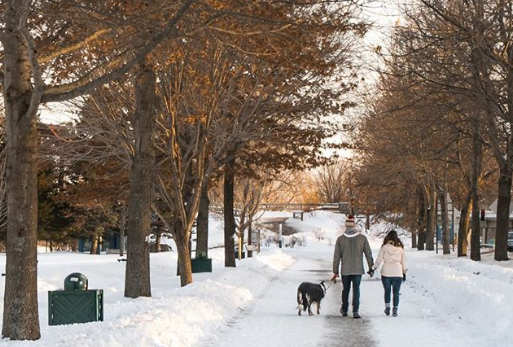 Finding fun things to do with your partner in Fredericton is so easy, you could call it a walk in the park! The city is home to a beautiful 400-acre woodland known as Odell Park, where couples can stroll, ski, or snowshoe along the 16km of groomed trails. Why not bring a camera along and turn your everyday stroll into a winter wonderland photoshoot? This forest scenery is sure to bring out the most insta-worthy snapshots in town. If you’re looking for a casual night out, bowling might just be right up your alley. With cosmic bowling, food on-site and local beer from TrailWay, the newly re-vamped Main Street Bowl-A-Drome is a great spot for some laughs and a little bit of friendly competition. With quality live music events every week, The Capital Complex has rightfully earned its reputation as Fredericton’s premiere live music venue. Jam out to some groovy tunes by local, national or internationally-known artists and enjoy a drink here in the heart of downtown. While you’re at it, be sure to explore the rest of the city’s nightlife scene! Still reading? Get out there and start planning your next winter adventure! Don’t worry if you haven’t found “the one” yet, these date ideas can be just as enjoyable with a friend! The list doesn’t end here – what are some of your favourite ways to keep busy during the winter in Fredericton?